When outdoors, there is something special about seeing wildlife, especially charismatic animals – large animal species with symbolic value, popular appeal, and/or environmental fervor. 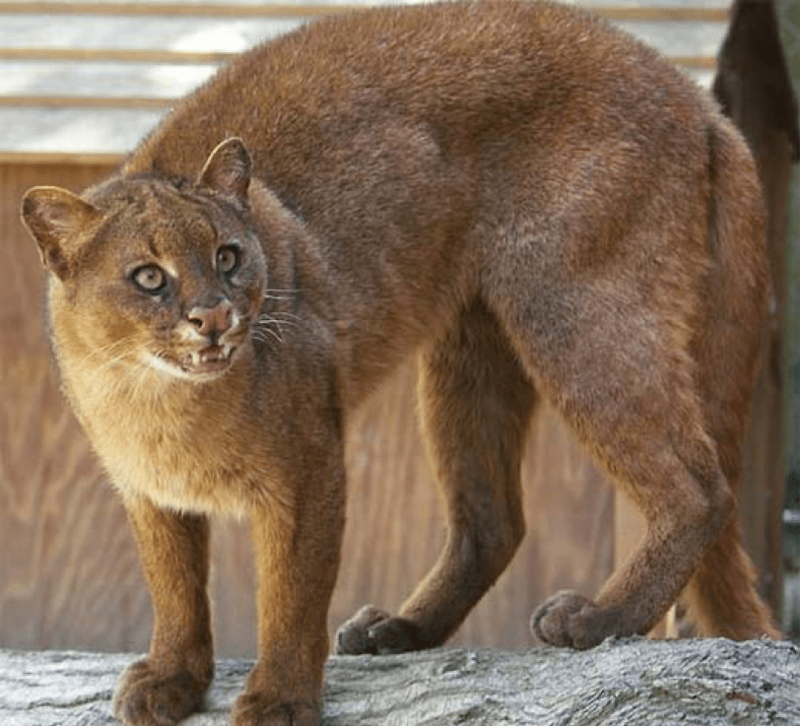 With the recent sightings of a neighborhood mountain lion, photo evidence of ocelots, and occasional meanderings of jaguars, large cats continue to capture our southern Arizona attention for their grace and beauty. Upsized versions of house cats, they are efficient sojourners, lithe athletes, and feared predators. A few years ago, on an early morning bicycle ride, a mid-sized cat ran in front of me on Pistol Hill road. It saw me at the same time I saw it and I think we were both surprised. The cat quickly departed into the creosote and palo verde scrub as I hurried my pace to avoid inciting the chase instinct of quick-acting carnivores. Ironically, “hurrying to avoid the chase instinct” is just about the dumbest thing to do with a mammalian predator, but it was my primal instinct that sent massive doses of adrenaline to my metabolic system sending impulses and energy to every muscle in my body. I could have outraced Lance Armstrong for those few minutes! At the same time, I was enthralled with my sighting! I had seen a wild cat! This cat was low slung, somewhat thick, smallish head, and a long tail. Its markings were darker and somewhat splotchy, but it was definitely not a bobcat, mountain lion, or a jaguar. I didn’t know what it was, but I saw it well. Along with the charismatic cats we commonly talk about, southern Arizona also hosts rare cats. Most notable are mid-sized ocelots and jaguarundis. Both animals were declared extinct in Arizona until wildlife cameras recently captured photographs of solitary ocelots in our sky island district. Ocelots are similar-sized to bobcats but have distinctive markings on its head and body. Prized for its pelt, ocelots were hunted to extinction until recent migrations from Mexico. Jaguarundis are also about the same size, but, unlike nocturnal ocelots, jaguarundis are diurnal and are more prone to hunt in open brush. With this feline encounter fresh in my mind, I continued my ride to the Saguaro National Park. After describing my cat, the ranger opened a book and asked me to pick out the species from a group of photos. 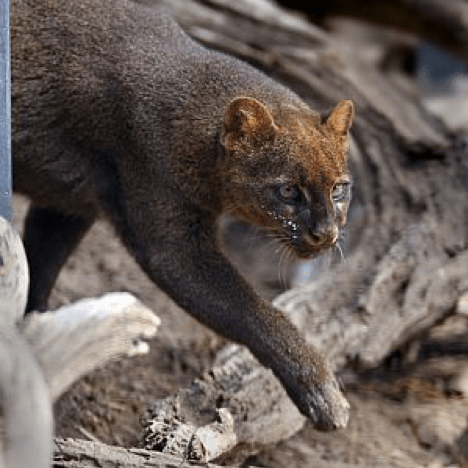 I had seen the rare and elusive jaguarundi, an animal once thought to be extinct in Arizona and yet to be photographed by remote, motion detecting cameras. The ranger assured me that my sighting was not unprecedented, but it was special. Very special!